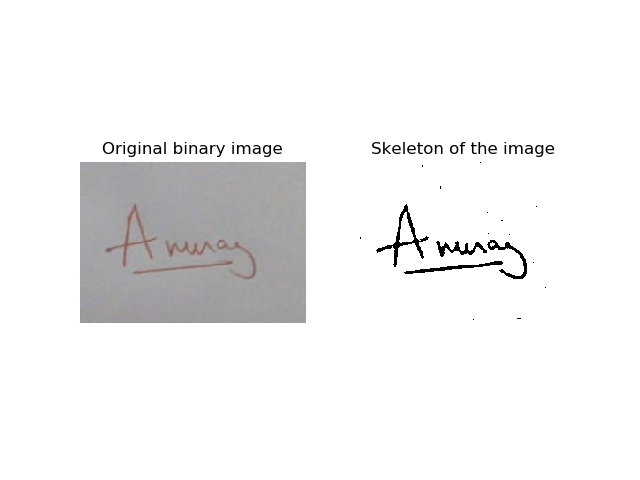 In this article, I present the off-line signature verification system which is based on image processing, moment invariant method, and ANN. sequential neural networks are designed, and another for verification (i.e. for detecting forgery). The scanned real world images containing human signatures are processed using several image processing algorithms before the calculation of the moment invariants. These processes are given below. Noise reduction: Noise reduction (also called “smoothing” or “noise filtering”) is one of the most important processes in image processing. Images are often corrupted due to positive and negative impulses stemming from decoding errors or noisy channels. An image may also be degraded because of the undesirable effects due to illumination and other objects in the environment. A median filter is widely used for smoothing and restoring images corrupted by noise. It is a non-linear process useful especially in reducing impulsive or salt-and-pepper type noise. In a median filter, a window slides over the image, and for each positioning of the window, the median intensity of the pixels inside it determines the intensity of the pixel located in the middle of the window. Different from linear filters such as the mean filter, the median filter has attractive properties for suppressing impulse noise while preserving edges. A median filter is used in this study due to its edge preserving feature. Background elimination: Many image processing applications require the differentiation of objects from the image background. Thresholding is the most trivial and easily applicable method for this purpose. It is widely used in image segmentation. We used the threshold technique for differentiating the signature pixels from the background pixels. Moment invariants are properties of connected regions in binary images that are invariant to translation, rotation, and scaling. They can be easily calculated from region properties and they are very useful in performing shape classification and part recognition. One of the techniques for generating invariants in terms of the algebraic moment was originally proposed by Hu. 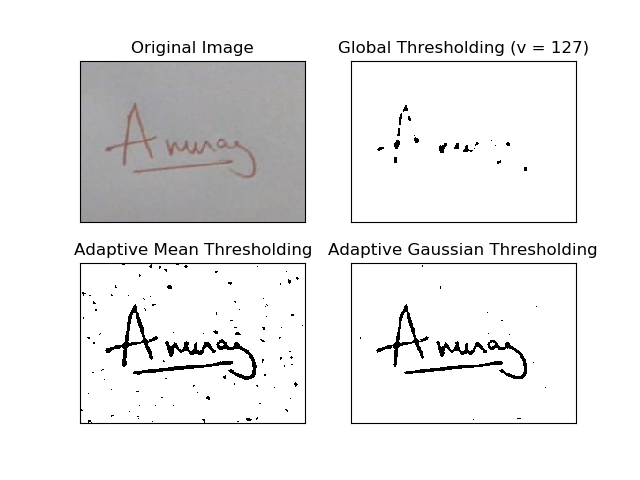 Feature vectors used for signature identification are generated using moment invariants. For this purpose, we produced twelve different sets of feature vectors for every signature where each set consisted of seven moments invariant. First, a feature vector for the normalized signature is produced using moment invariants, and these seven feature vector values are saved in a database. Then, the normalized signature is rotated using the two-dimensional rotation equation. Twelve different sets of feature vectors are calculated to correspond to twelve different reference angles. The normalized signature image is rotated from 0 to 360 in 30 increments. In total, 84 features were extracted for each signature. In this part of the study, our purpose is to authenticate a signature, i.e., to verify that the signature is not counterfeit and that it really belongs to the person who is claimed to be the owner of the signature. The ANN used for this purpose is also a multilayer feedforward network which consists of 84 input variables, 40 hidden neurons, and 2 output variables indicating whether the signature is fake or true. Backpropagation algorithm is used for training. The training data set is obtained from five original (authenticated) signatures provided by the real owner and five fake signatures. As was done for the preparation of the training data for the ANN used in recognition, twelve invariant vectors per signature are used in the training set. 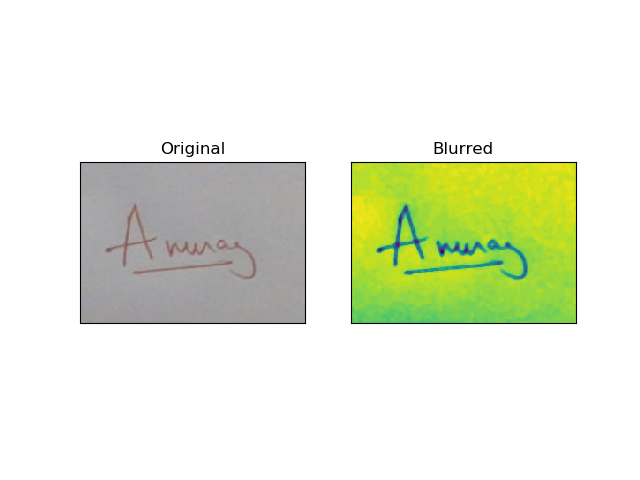 In this article, we presented an off-line signature verification system which is based on image processing, moment invariants, and ANNs. Moment invariants which are used as input features for the ANN are obtained from thinning signature images. However, it exhibited poor performance when it was presented with signatures that it was not trained for earlier. We did not consider this as a “high risk” case, because the recognition step is always followed by the verification step and these kinds of false positives can be easily caught by the verification system. The verification system missed only one counterfeit signature. Previous Post:Can You Find Waldo Faster Than A Computer? Spoiler: You Can’t. Next Post:Why you should learn machine Learning?